It is the holiday season! You know what that means, traveling and awkward family encounters. But let’s face it, it is a bit more interesting for Alaskans. Let’s talk about six reasons traveling for the holidays is always extra for Alaskans. 1. PRICE– Whether you fly or drive, it is crazy expensive to travel around this time of year. Your parents may even do the “this is your Christmas gift because it’s about spending time with family” thing. Some of us are okay with that… some are still salty about having to give up that Xbox to see grandma…. 2. FLYING vs. DRIVING– It is really a lose-lose situation, either way, you spend your time wondering why we have emojis we can make talk like us but not teleportation machines by now. If you drive, it is probably to somewhere colder in Alaska. Unless your family decides to expand the trip and drive to the lower 48… good luck on the Alaskan Highway… in December. 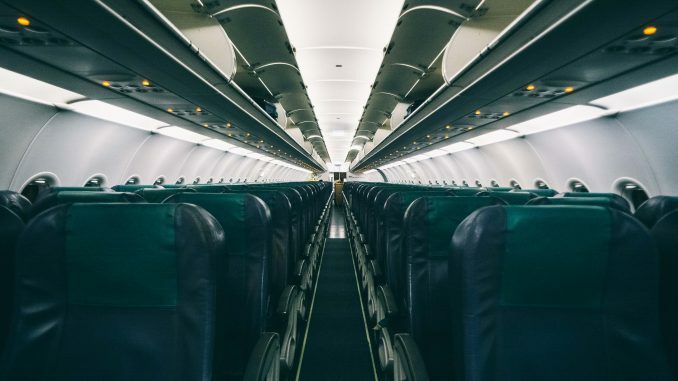 Flying is more practical, but you know that you are about to spend your entire day on planes and in airports with sucky wifi and a baby crying on your flight, and don’t forget the middle seat! But it is always worth it, there’s more adventure to come! 3. GIFTS– Chances are your lower 48 family will not understand your Christmas gift list, especially if they live in the South. When you say you really want a pair of “ugly, plain old brown rain boots,” with fish or octopi on the inside… looks are exchanged. And then there is buying gifts for your family in the lower 48. I am almost positive that by the end of this year, everyone in my family will have an Ulu knife, something with a moose on it, and a sweatshirt that says “Alaska”. 4. QUESTIONS ABOUT ALASKA– Yes Aunt Linda, it snows, a lot. No, it doesn’t snow all year. No, we don’t ride moose to school. No, we don’t have penguins just walking around and we definitely don’t ice fish for Beluga whales… or any whales for that matter. We also don’t live in igloos. 5. THE TRADITIONAL QUESTIONS THAT STILL MAKE YOU FEEL WEIRD– Okay, this one is not specific to Alaskans but should be noted. Nothing says Happy Holidays like being asked what college you want to go to, what you plan to do with your life, or if you have a boyfriend yet, by every. Family. Member. Every. Year. 6. THE CLIMATE CHANGE– Depending on where you are traveling to this holiday season, this is either really exciting or really disappointing. Some of us will flaunt our legs and wear shorts as often as possible. We might even shave. Others will wear the exact same thing, because it’s almost as cold as Alaska. But we will always treat 40 degrees as a heat wave. We’ll take what we can get. While traveling for the holidays can be an adventure in and of itself, it’s important to embrace these moments and spend time with your family. And when it all becomes too much, maybe just drive to Girdwood.